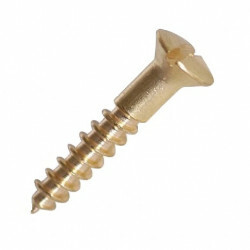 A Brass Screw isideal for use outdoors on woodwork applications and even marine work due to their water resistant and non-corrosive nature. 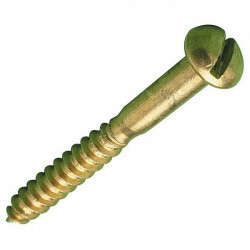 We stock Countersunk Solid Brass Screws that are ideal for brass door furniture and hinges, Brass Round Head Screws and also Brass Raised Head Screws. Use the filter to the left to help narrow down your brass screw search.